Showing results for tags 'legal'. Hi, I am requesting PKM files that can work online such as Shiny Mew and Lugia or a Mew that can learn the move Defog. Currently right now I'm having trouble trying to Gen a Shiny Lugia and a Shiny Mew to work. I looked into RoC's-PC and found the files but it has been a hassle trying to get them to work online. If you can be so kind to please introduce me to a file that worked for you or a link that might provide me with the gen files that worked. I may know the reason for shiny Mew but people have talk about obtaining it from the island event on Emerald and being able to exploit a shiny Mew to work. If these Pokemon are shiny lock let me know. I appreciate it very much. Note: When I was trying to gen for Shiny Lugia and Shiny Mew, I made sure it was event and not one where I could try to do manually cause I knew about the difficulty of trying to obtain one. i keep getting this error about the legality of my meloetta i'm not sure what it means if someone could tell me id appreciate it. pls and thank you. So what Happend is that I wantet to do a Garchomp with Stealth Rock, but this move is only learned in Oras by the Attack tutor guy, So what kinda settings do I need, and where is even the met location of the OrAs eggs? Also If I already started, I got Problems with this Error Code same to heatran I'm really looking forward for some help, I'm kinda to stupid for that, that it already gets me crazy. So when I import Pokemon into PKHex, sometimes the Pokemon will have illegal flags. But I can just click on the illegal flag, and it will then say that the Pokemon is Legal. If I then "set" the pokemon, it will be flagged as legal. So for some reason, I have to manually click on every Pokemon with the Illegal flag, and re-set them to make them Legal. Can someone help with this, please? Thanks! AR Wild Pokemon Modifier Code = Valid PID? Not letting me do online battling. Can someone tell me what's wrong with these pokemon? So I have been using the PKHeX from this thread: Web-Browser-RAM-based-Pokemon-Injection-for-XY-and-ORAS I've genned some pokemon that by what I can tell look completely legal but I am not able to use them online. If someone could point out what it is that I'm doing wrong then that'd be amazing. Here are two of my pokemon.ek6 files (named with what pokemon they are for my own filing. I use the whole box importer when putting them into the game) http://s000.tinyupload.com/index.php?file_id=44459104806528684010 http://s000.tinyupload.com/index.php?file_id=09424632622028377830 P.S. I know that ProjectPokemon does not endorse or condone online use of genned/hacked pokemon. This is entirely for me to use so I can battle my friend online who lives in another state. Hy guys! I've a problem with the legality of some pokemon events: last time I've download the pokemon event "Pikachu coloured Pichu" by your database; but THIS SITE-->http://pokeguide.filb.de/pac.php says that this pokemon are CHEAT. In a second time, I've try with Legal.exe (download in this page: http://projectpokemon.org/editing/legalitychecker.php) and the result is tath the pokemon are legit O_O While is the true? Are this pokemon legit or not? Sorry for my bad english ^^"
How to make legit PKHeX pokemon? Recently i have been using PKHeX to make some Pokemon that i don't feel like rebreeding. I made sure i have everything set, and made sure that they don't have any unobtainable HA, made sure the "met location" is legit, stats are not illegal, moves from the current gen, and Trainer Info are mine. So i tried using them on battlespot and battlespot said i cant use some of these Pokemon. What did i leave out? I am pretty sure all of them should be legal. Why is my Rayquaza hacké while it is legal? anything special to make a legal shaymin? well i made it starting from a TRU shaymin. i changed the location met to flower paradise. Changed OT and id# and i changed the IVs and gave it a matching type1 pid. 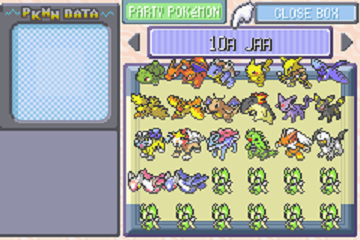 changed location to sinnoh plat and i think thats all of it. Did i miss anything? Does flower paradise need a hidden hex? AR Shiny Code Legal PID? Does this shiny code make the game create legal PID Relationships for PKMN? 02064ec8 47104a00 02064ecc 02000031 94000130 fcfe0200 02066db8 47084900 02066dbc 02000001 d2000000 00000000 94000130 fcfe0100 02066db8 95019000 02066dbc 90022000 d2000000 00000000 62000000 95019000 e2000000 0000004c 95019000 90022000 1c28b40d f0684907 1c01fd4d 2901bc0d 4902d101 49024708 00004708 02066dc1 02066d9f 00000000 95019000 69384a04 98046010 4b019a09 00004718 02064ed1 0200002c 00000000 d2000000 00000000 It's the code where you press A + R on the Trainer card. I don't have any way of backing up my saves to the computer otherwise I'd check the the PKMN I caught with it in Legit.exe. Help! is this poke legal for wifi? Jirachi (no nickname original name) Held Item:Leftovers TID:61197 SID:31037( special SID to make the pokemon shiny automatically) Level:100 Exp:1250000 Hapiness:255 PID:2034429810 (shiny box is automatically checked due to SID) IV's are all 31 EV's HP:255 Speed:0 Attack:0 Sp. Attack:55 Defence:100 Sp.Def:100 OT: WISHMKR OT Gender: male Met at Level 85 Met at (Pal Park) Date Met: 2008, 02, 21 Region/Version: Hoenn (Ruby) Language: ENG Moves: Relect Light Screen Thunder Rain Dance Ball caught with:Poke Ball That's my jirachi but Pokemon battle revolution is saying that it is not allowed on wifi? I checked it with Legality the newest version and it said Normal NDS/ or GBA. So what is the problem? Hi, I have Pokemon Sapphire Original cartridge and R4 with Pokemon Platnum(which I also own legaly. Whenever I palpark something from sapphire, the trash bytes are shown as invalid. The pokemons I palpark are 100% legal and untouched from sapphire. The same applies when I palpark on my CycloDS, the trash bytes are shown as invalid, no matter what pokemon I palpark. I just palpark on my R4/CycloDS because I have lots of rare candies so I can level them up easily after EV training. Is there any way to fix it? I dont want to be seen as hacker when my Pokemons are actually legaly breeded and palparked. If there is any way to fix it, please let me know. Thanks ---------- Post added at 01:03 PM ---------- Previous post was at 12:54 PM ---------- By the way, it doesnt even get fixed after running through trashbyte fixer. What's the characteristic of relived pokemon in ? I want to make a perfectly legal pokemon in , but I have no info about it. Can someone upload a pkm file which was got from ?